Swiss International Air Lines intends to further strengthen its positioning and its profile as the airline of Switzerland over the coming years. While maintaining a keen focus on such key business competencies as cost management and flexibility, SWISS will be striving to further intensify its collaborations within the Lufthansa Group, and will be putting a particular emphasis on sharpening its brand profile. The SWISS Management Board also views the company’s manageable size (compared to many of its competitors) as a vital asset of which it intends to make greater use. “Our size enables us to stay closer to the customer, and to respond even better and more specifically to their individual wishes and needs,” Hätty explains. A new logo will also be adopted from October onwards. The new logo shows a SWISS tailfin with its Swiss-cross design, reflecting the livery of the company’s aircraft and enabling SWISS to be instantly recognised as “the airline of Switzerland”, even from afar. SWISS’s advertising and promotional materials will also be given a clear new look. And here, too, the focus will be on the company’s aircraft and their Swiss-cross tails. ‘Our sign is a promise’. 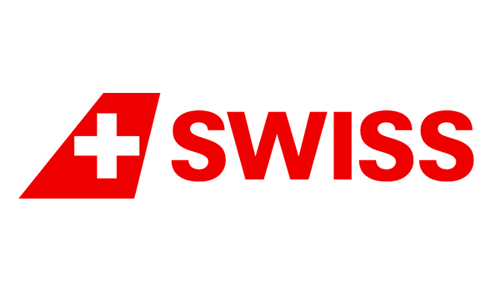 The new SWISS logo will be gradually adopted for all the company’s communications channels and at airports in and outside Switzerland from October onwards. Transavia – creating a dominant online brand.